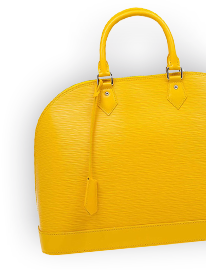 This item has visible scratches & darkening on the exterior material, white & other marks on the interior fabric lining, visible marks & discoloration on the interior flap, and scratch marks on the hardware. Overall, it is in good condition. This stunning Bvlgari creation is crafted from patent leather in a breathtaking brown hue. The shoulder bag is styled with a flap that has the iconic Serpenti head closure. 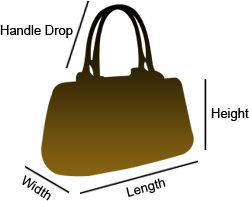 The bag comes with a well-sized fabric lined interior that houses a zip pocket. It has a gorgeous gold-tone chain link for an easy carrying experience. Instead of paying a one-time amount to purchase this item, use Payfort’s easy installments plan to make this purchase in batches. On the checkout page choose ‘Payfort’ to buy in installments. Your order will be delivered right after you make the first payment.